A family history book will typically include hundreds of people, and can usually get at least into the mid 1700’s (or even the 1500’s, if records exist for your town.) Some projects have found as many as 1,000 ancestors! Onsite research at churches is often available to supplement what can be done by civil records. Various options for your interests or budget. Documentation to support every name and date is provided, with the exception of any special circumstances. If you finish all that is possible to do, based on records that exist for your town, (often a two-year subscription project, especially in Sicily), you’ll receive a spiral-bound book sometimes about an inch thick, depending on the size of your family. Such a project includes “everyone” by your surname that can be found for your tree. (Pricing is for one surname only. If you have another side of the family you want done, that is a separate project.) A comprehensive project needs repeated sessions. The number of sessions needed depends on how large your family is, and how good record sources are for your ancestral town. Drafts will be delivered quarterly throughout the year to let you see how your tree is growing. Our spiral-bound family books are easily reproduced and perfect for gifts, reunions, display, and to pass on to your descendants! If you need to stop before completion just give 30 days notice and the project can be put on hold, once the minimun requirement of three months has been met (because individual sessions less than three months are billed at $500 each). The special price for a book project is to allow you to spread the cost of a big project over time and always know the exact price to expect each month, usually set up for automatic billing. You can also order a “modified project”, still with supporting documention, family sheets and charts, but not so comprehensive. You can set the number of months from 3 to 6 months. (Less than a 3 month project will be billed at regular stand alone session price of $500 each). Please inform if you ultimately plan to do a full book, but need to break it up into stages, because the research is approached differently. We accept personal check, money order, & credit cards through PayPal. For lineage research, please answer as many questions below as you can, and in detail. It affects where the research has to begin. We’ll need to establish a solid starting point, verify facts, and be able to identify your ancestors in the records. If you have copies of any documents that directly pertain to the line to be researched, please send them as an email attachment, or give the exact name of an online tree if one exists. Immigrant ancestor’s full name (include maiden surname of females. Ancestor’s date of birth or estimated year. Immigrant’s place of birth in Italy, or guess at province or region. Year of immigration and probable port of entry. Places where ancestor first lived after immigration in order. (We’ll need identify them on census and other records). List the names of their children in order of birth (oldes first). Were any of the oldest children born in Italy? Names of your immigrant ancestor’s parents, if known. Brothers and sisters of your immigrant ancestor. 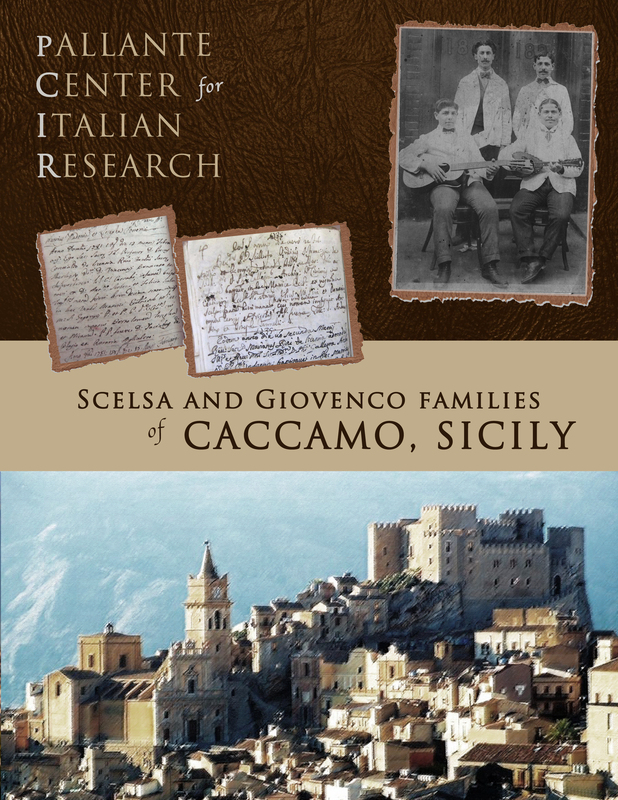 Brothers and sisters of either of their parents if known and whether any of them might have also emigrated out of Italy. Pedigree chart or diagram showing direct line to be researched.